"France were generally regarded at the fourth favourites to lift the trophy pre-tournament, and could be backed at around the [8.0] mark, but they did reach a high of [20.0] in the World Cup Winner market when they were trailing 2-1 to Argentina in their Round of 16 match." 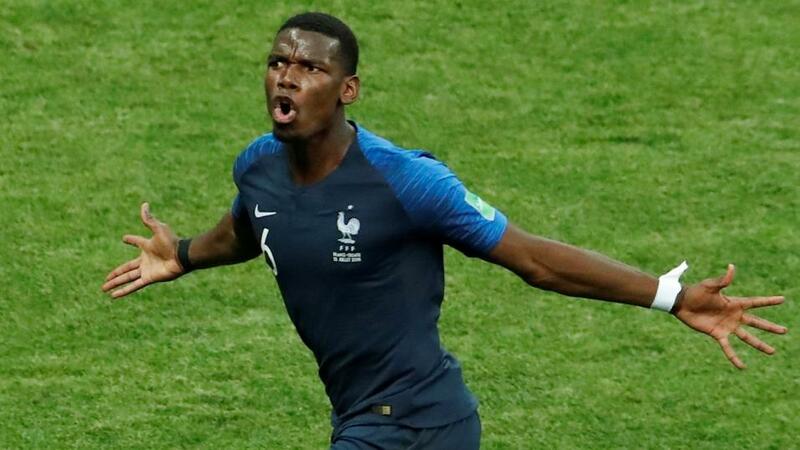 France have today joined Brazil, Germany, Italy, Argentina and Uruguay in becoming multiple winners of the FIFA World Cup after getting the better of Croatia 4-2 in a highly entertaining affair in the Luzhniki Stadium. The French side went into the final as [1.94] favourites in the Match Odds makret and they twice led in an enjoyable but controversial first half. First Antoine Griezmann's free-kick was headed into his own net by Mario Mandzukic, and after Ivan Perisic had levelled for the underdogs Griezmann put France back in front after being awarded the first ever VAR-intervened penalty kick. Croatia started the second half in much the same way as they'd contested the first 45 minutes by being on the front foot and causing France lots of problems, but on the hour mark they were hit on the break twice to effectively end their World Cup dreams. First Paul Pogba curled home from outside of the area to make the scoreline 3-1, and then one of the tournament's star men, Kylian Mbappe, found the bottom corner from the edge of the box to increase the lead for Didier Deschamps' men. Croatia weren't done however, though they owed their second goal to a huge mistake from France goalkeeper Hugo Lloris when Mandzukic stole the ball from him to score from just a few yards. Zlatko Dalić's men pressed for a thrid but France held firm to win their second World Cup in 20 years. Over 5.5 Goals was matched at a very generous [200.0] on the Betfair Exchange, while the 4-2 Correct Score was matched at a high of [270.0] In-Play. France were generally regarded at the fourth favourites to lift the trophy pre-tournament, and could be backed at around the [8.0] mark, but they did reach a high of [20.0] in the World Cup Winner market when they were trailing 2-1 to Argentina in their Round of 16 match. After exceeding expectations and reaching the semi-finals England had another reason to cheer when Harry Kane was confirmed as the tournament's top goalscorer. Kane scored six goals in total, five in the group stages and one against Colombia in the knock-out phase, and his tally was two more than a bunch of players on four goals including Mbappe, Griezmann, and Romelu Lukaku. The Spurs striker was matched at a high of [30.0] pre-tournament to win the Golden Boot. Croatia's Luka Modric was awarded the Golden Ball for being the tournament's best player and he was available to back at a massive [150.0] pre-tournament in that particular market.